You may have noticed that we started our annual Mega giveaway at the beginning of the month. Well, at least we hope you did since a new one goes live each afternoon. We also hope you are taking advantage of this massive promotion and are entering to win. What we want to emphasize is that those giveaways wouldn’t be possible if it wasn’t for the sponsors who participate in our holiday gift guides! These guides are designed to provide a variety of gift ideas to make your shopping a little easier. We’ve been there and know how stressful the holidays can be and any tool to help manage the madness is worth using. A couple times per week until Santa sets off on his journey, we’ll be sharing gift guides of different themes for different age ranges. 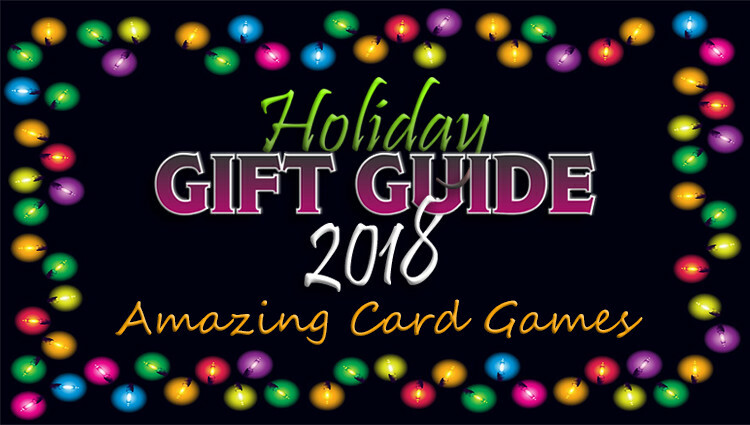 As with this guide filled with card games, you should be able to find something for someone on your list. You’ll be able to scroll through the different suggestions and read a brief description about each item. If you notice the logo, that means we highlighted the product in more detail at a prior time. Click on the icon to see custom images and read our personalized game overview or story about why we use it, play it, have it and recommend it. The vast majority of the sponsors in this year’s gift guides are also participating in our giveaway so don’t forget to give them a shout-out to tell them thanks for participating. 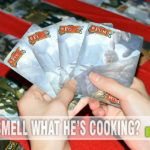 Check out this list of card games and see if you can knock a couple things off your list. If you have any questions about a specific game, leave a comment and we’ll see if we can get you some answers. In the meantime, don’t forget to check out the 150+ Days of Giveaways as they go live daily (at 3pm Central)! 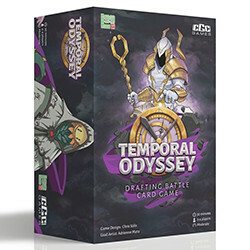 From iconic designer Reiner Knizia comes a new game for 2-6 players of keeping the Emperor close and your enemies closer. As rival forces conspire to destroy your realm, the time for heroes is now. Cast powerful spells, perform mighty feats, and gather legendary champions at your side. Defeat your opponents, and prove your valor! 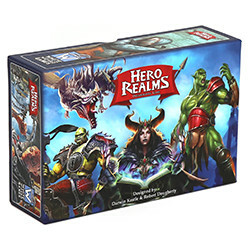 From the makers of the award-winning Star Realms Deckbuilding Game, Hero Realms combines the fun of deckbuilding games with the interactivity of trading card game-style combat. 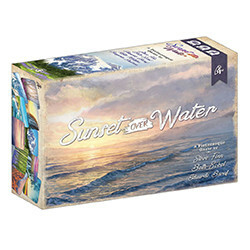 This 2 to 4 player game is priced perfectly for a gift at $19.99. A drafting battle card game about dueling time travelers! 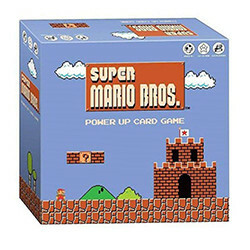 The Super Mario Bros. Power Up Card Game takes you beyond the Warp Zone to the secret underwater world of one of Nintendo’s most iconic video games! Take risks and use your wits to keep or trade Level cards. “? Block” cards modify scores while Extra Life tokens keep you afloat to win with the highest Level in the game! In Dungeon Rush, players are adventurers rushing through a perilous dungeon to root out evil, earning gold, and improving their abilities to level up along the way. 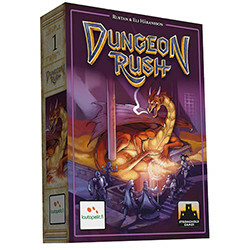 Dungeon Rush is a speed game where quick thinking and observation is just as important as quick hands! 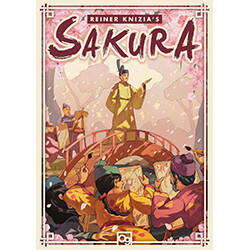 Add this 2018 Spiel Des Jahres Nominee (Game of the Year) to your shopping cart! 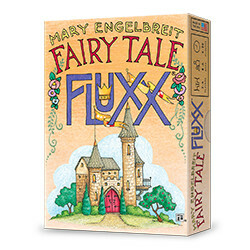 Fairy Tale Fluxx brings the zaniness of the card game of ever-changing rules to the land of happily ever after! Gather Keepers to fit the current fairy tale Goal and you win; but look out for the Witch and the Wolf! With delightful illustrations by Mary Engelbreit, this version of Fluxx is a wish come true. 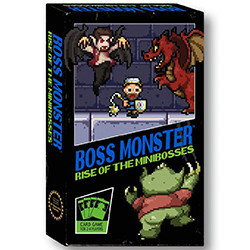 Rise of the Minibosses™ is the latest and greatest edition of the smash-hit Dungeon-Building Card Game™. If you’re new to Boss Monster, this set is the perfect jumping-on point. If you’re a seasoned hero hunter, it brings more tactical options than ever before! Earn Coins through effective use of all-new Rooms and Spells. Use those Coins to power up Rooms and abilities, or to hire and promote powerful Minibosses. It’s time to build the deadliest dungeon ever. It’s time for the Rise of the Minibosses™! 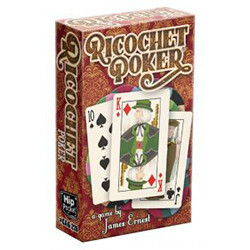 Ricochet Poker is a fast-moving, pure odds game of poker with no bluffing. It’s a great way to start off a night of gaming and a fun new addition to poker night. Handsomely illustrated by Cheyenne Wright, this classic poker deck can be used to play any traditional card game as well as over 30 original game designs by James Ernest. Purchase direct from Cheapass Games! Munchkin is the mega-hit card game about dungeon adventure . . . with none of that stupid roleplaying stuff. You and your friends compete to kill monsters and grab magic items. 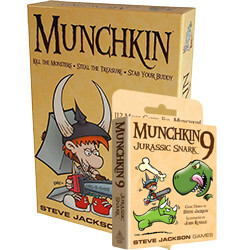 Munchkin 9 – Jurassic Snark takes munchkins to a long-gone era to fight dangers they’ve never encountered. Shuffle this 112-card expansion into your Munchkin game to wear primeval armor, ride dinosaur Steeds, and fight munchkinivorous monsters. 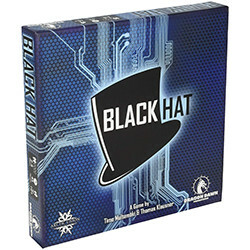 Black Hat is a hacker-themed, climbing trick-taking board game for 2-6 players. 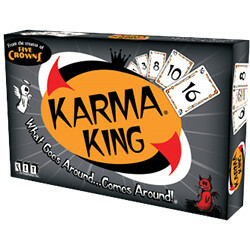 While trick-taking is the main mechanism used in the game, you can win the game even if you win only a few tricks. 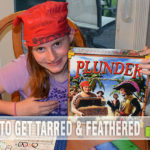 Featuring a random and evolving game board that players progress through during the game, the game allows a wide variety of strategies to be applied, as you learn to adapt to every situation. 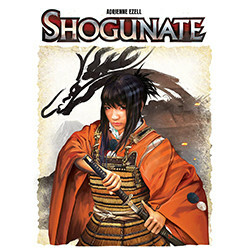 Shogunate is a 3-6 player game that plays in roughly 20-25 minutes. Here is a quick game overview: The six great clans each strive to have their leader be the first in line to succeed the Shogun. Of course, you’ll do so in a manner most, shall we say, honorable. In Shogunate, each player is loyal to two clans. Your goal is to use your actions to manipulate the line of succession such that the leaders of your clans earn the most honor! In Nimble, everyone plays cards simultaneously from their hands. Players attempt to match the color of the card backgrounds in their hands to the target colors on the cards in the center. Players do this as fast as they can, and the first player to play all of their cards to the center is the winner! 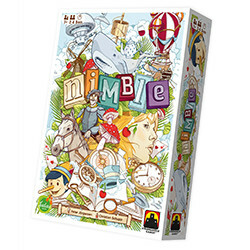 Nimble plays in only 5 minutes! However, Nimble is so addictive and quick, you will want to play this game again and again and again! These amazing card games are just the start of our ideas for the 2018 holiday shopping season. Not only will you be checking items off your list but you’ll be fostering an environment with less screen time, more social interaction and fun. As a bonus, Amazon is offering free 2-day shipping this holiday season or free same-day shipping with Amazon Prime so you don’t even have to leave your home! Happy shopping! Great selection of stocking stuffers! So many great games in small form. Also recommend Coloretto, Saboteur, Red7 and Oh My Goods! All good selections too! Oh My Goods was featured in a previous year and is particularly hard to find right now thanks to the demise of Mayfair… Not familiar with Red7, will have to research that one. Keep an eye out for a Stocking Stuffer guide soon that has a bunch more games of all types! Sakura is one that I’ve enjoyed, but I haven’t had the pleasure of many others. Looks like I’m going to have to share this with my family when they ask me for ideas for Christmas! Nice selection! Tons of games I haven’t heard of. These all look awesome! I’m especially interested in the Super Mario Bros game. I didn’t even know they had a card game!! Great picks! I’m especially interested in Hero Realms! omg love the mario game the kids would just love playing it! I would like The Cat Lady and also The Mind. LOL. That’s a good one, Courtney! 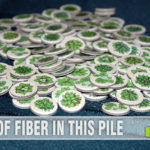 I like games that allow for future gifts and expansions serve that purpose well! I have pinned and shared these games, because I like them and I think others will too. I would have never heard of a lot of these games, if it wasn’t for your website. You have given me a lot of gift ideas! 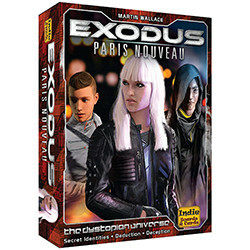 One of the games I am really interested in is the Exodus: Paris Nouveau. It sounds like a mystery spy game! 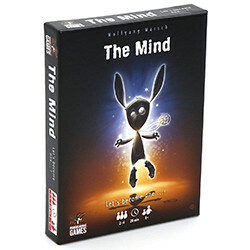 I am not much into card games but some of these, such as The Mind, seem interesting. I would play some of these. This is a nice selection for both kids and adults. I like to have a card game or two to take along when traveling to meet family. They are so easy to pack and a good way to spend time. So many good games on this list. These are awesome! The Super Mario Bros. Power Up game looks great! 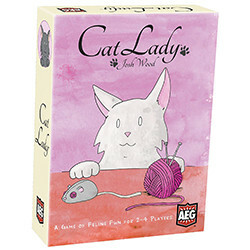 I know a few people who would like the Cat Lady game! So many games to choose from! Where does one even start? I’m dying to try Sakura! !